I spent some time chatting with fellow dad, Chris McCuiston, the co-founder of the swim school my kids take lessons at in this edition of A Geek Daddy's DAD TO DAD CHAT segment. Chris started Goldfish Swim School with his wife as a single location in Birmingham, Michigan eleven years ago and over the last decade has franchised more than 40 locations across the United States. He shares some thoughts with us about entrepreneurship, fatherhood, and swimming lessons. Since starting Goldfish Swim School not only has your business grown but so has your family. 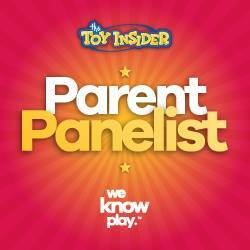 Tell us about your kids? I'm the proud dad of four boys ranging in age from 2 to 8 -- Charlie, Jack, Brody & Reid. 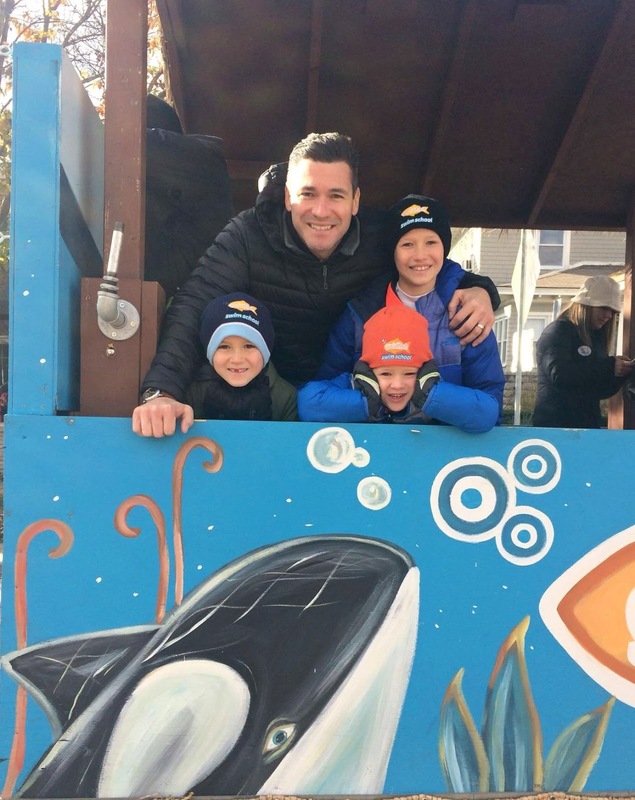 As a dad yourself what do you really want to instill with the kids who attend Goldfish Swim School? We want to help children build a respect and love for the water while building safer and more confident swimmers. How does Goldfish stand out from other swimming instructional programs? When my wife, Jenny, first came to me with the idea of opening a swim school, it was because she knew there was a better way and better place to teach swim lessons. We’ve fulfilled that need with Goldfish – not only do we build our facilities with kids and families in mind (warm water, inviting environment, private changing rooms, hair drying stations, bright colors, etc. ), we also offer a safe place for kids to learn about water safety, while also having fun. Our members become a part of our Goldfish family and we love hearing how much their families love Goldfish. 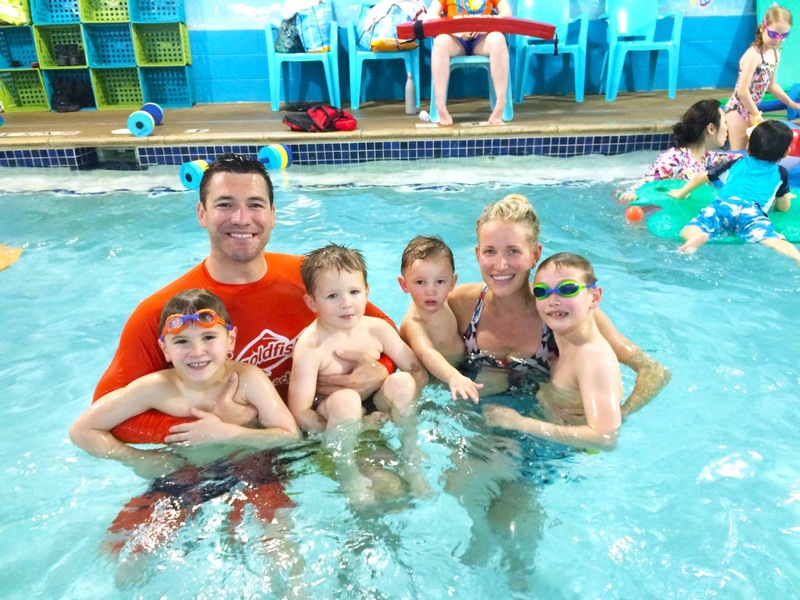 How can dads utilize the Goldfish Swim School experience as a way to bond with their kids? In our Mini classes, dads can get in the water with their babies and spend an uninterrupted 30 minutes bonding with their child. That time is so important and beneficial not only to each child’s individual growth, but also to their relationship with their parent. As your kids get older, the entire family can come and enjoy Family Swim – having fun in the water, working on new skills and playing with our water toys. 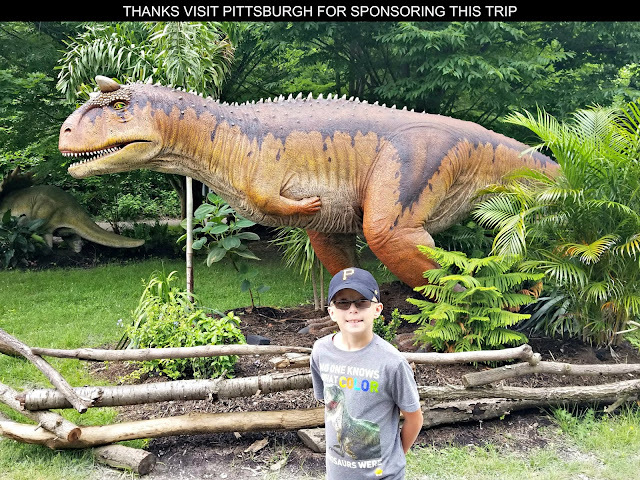 We have monthly Family Night Out events as a time for families to come together, enjoy each other’s company and have fun! What is the most important thing every parent should know when it comes to water safety and their kids? The most important thing is to always make sure that an adult is supervising your kids while they are in and around the water. Swim lessons are the number one way to help keep your kids safer around the water, but it is still so important that someone is watching. Accidents can happen in an instant. Goldfish has gone from a single mom and pop operated location in Birmingham, MI to becoming a successful corporation franchising numerous locations in multiple states -- what is your continuing vision and expectations for the brand? We never imagined that Jenny’s vision would turn into what it is today, it’s amazing how far we’ve come in 11 years. Our goals for the future are to continue to grow into new markets – the more locations we open, the more kids and families we have the ability to teach. We are committed to continuing to provide the best service, teachers and curriculum to remain the premier learn-to-swim destination for families. We want to continue to have a positive impact on the community and help more and more kids learn how to be safer in and around the water. How do you balance work life and family life ensuring you spend quality time with your kids? What is your favorite way to bond with your kids? We balance work and life by making sure we set clear expectations around work and play. Clear communication is important along with accountability. We also have the benefit of working together so that helps us find time to be together both in and out of work. Jenny and I were both former athletes so we enjoy spending time with our kids on the baseball field, football field and in the pool. You played collegiate baseball at Michigan State University -- has that experience impacted how you handle your professional and personal life? Playing college baseball taught me a lot about teamwork, how to handle responsibility and how to handle winning and losing. There are so many situations that you encounter playing a college sport and I think those situations prepared me for the challenges of running a business and having a family. You obviously were involved with sports as a kid -- how important do you believe it is for today's children to be involved with organized athletic activities whether that be playing on a school sports team, joining a rec soccer league or participating in a swimming program at Goldfish? I think being involved in sports and activities is so important for a child’s development. It teaches kids to be a part of something that is bigger than them, how to work with others and to set goals and work to achieve them. They will carry and use those skills for the rest of their lives. Does your family have any traditions when it comes to celebrating Fathers Day with you? The only tradition is to allow Dad to sleep in. With a family of 4 boys, there is not a lot of quiet time or down time. In all honesty, we tend to spend the day together and cook out with family at night. I enjoy entertaining and being with people so it’s fun to get the family together for special events.